A Las Vegas rescue organization reached a milestone on December 2 when they ‘fixed’ their 35,000th feral cat! 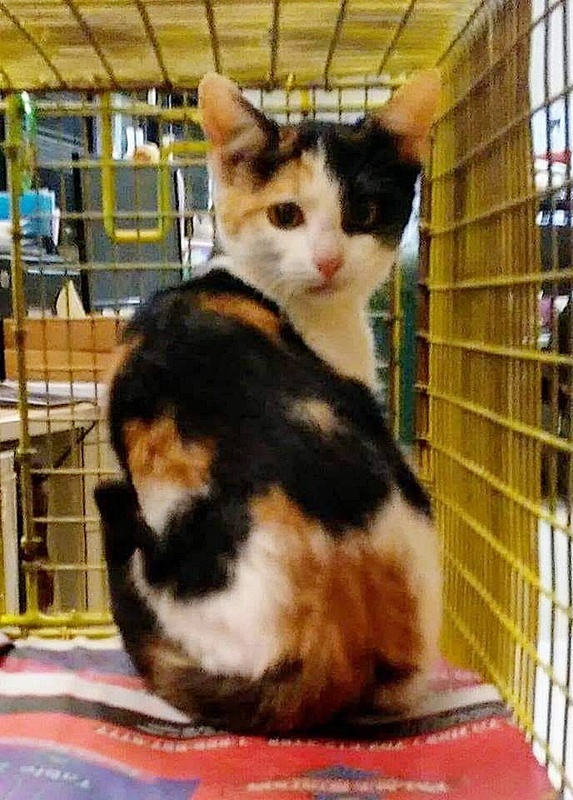 Community Cat Coalition of Clark County (AKA C5) made the announcement Sunday on their Facebook page that this sweet girl was scheduled for spaying at Heaven Can Wait. C5 says the program has cut the shelter euthanasia rate by 90 percent. Approximately 50 volunteers work to trap the feral cats in the city. The cats are provided veterinary care and are spayed/neutered. This has gotten the population down. Experts (no source was given on this ) say there are approximately 200,000 feral cats living in the city. Although it’s a battle to reduce the feral cat population anywhere, with 35,000 cats helped they’re preventing a lot of unwanted kittens from being born. Follow Elisa on Facebook and Instagram. 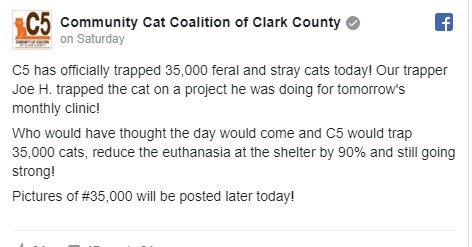 Click here if you’d like to make a donation to Community Cat Coalition of Clark County. This entry was posted in Cat News, feral cats and tagged The Articles of Elisa Black-Taylor, TNR by Elisa Black-Taylor. Bookmark the permalink. That is just incredible work. An amazing acheivement. I am in total awe of their work.